Google's developer conference opened up with lots of new stuff, some great some not so great, and across a wide range of areas. So, let's dig in. There's a lot to cover - and not enough time to (re)do it in detail - hence, I'll keep it short and hope Google Translate does a good job should you want to delve into the more detailed articles I wrote in Portuguese. There's Android Wear 2.0, with native apps and watch face complications (thanks Apple Watch) and improved keyboard support. More impressive, and a sign of things to come, Instant Apps for Android allow you to run native apps just by clicking a link on the web, without the need to download or install them. With that put out of the way, let's get into the the more interesting stuff, like Google's Daydream - the new VR "certification" program that will ensure smartphones are able to provide great VR experiences. That should help minimize the gap between cheap cardboard VR experience and higher end dedicated VR glasses like Oculus Rift and HTC Vive. 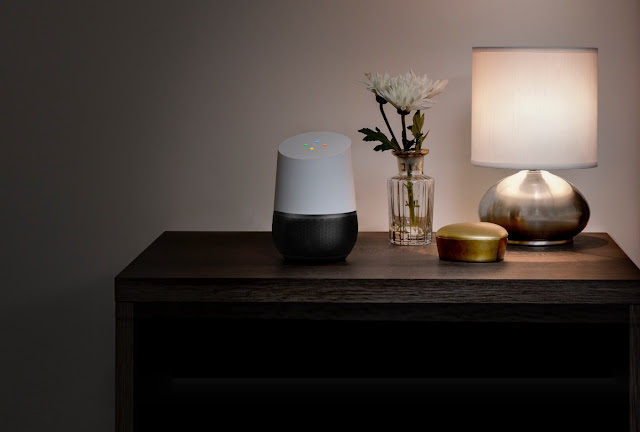 And then there's Google Home, Google's answer to Amazon's Echo, hoping to become out home "brain" controlling all devices and answering all our questions. To that effect Google's assistant now has improved conversational skills (used on the messaging Allo app as well), and it can seamlessly cast music and video to chromecast compatible devices around the home. Sounds good, but one has to keep in mind that all this is vaporware at this point - unlike Amazon's Echo, which you can buy right now. Also, you might want to look back and remember the never-to-be-seen Android @ Home, that was also presented on Google IO as being the next big thing... five years! So, although there are lots of good things, most of the things in the first day of Google IO seemed like a rushed "me to" attempt to the likes of FB Messenger, Snapchat, Echo - and even the conversational assistant failed to impress after we've seen Viv's capabilites. You can either see this as a bad sign, as Google struggling to keep up the pace of its competitors; or as a good sign, meaning the competition is fiercer than ever, and that will ultimately force everyone to move faster and better. For now, we'll have to wait to see how these Google projects pan out when they actually launch.